SCMP: “The publication of the Hurun Global Rich List 2013, which revealed the top 10 wealthiest Chinese billionaires, on Thursday has triggered discussion among Chinese netizens about the Chinese zodiac signs of the rich. The dragon is the most common zodiac sign among the billionaires, followed by the horse, said a post by China’s Global Times. Others chimed in with comments on Chinese zodiac signs. “Dragons are born with a kind of self-confidence. They are destined to play a strong role,” one said. The report, compiled by the Shanghai-based Hurun Research Institute, showed that Hong Kong entrepreneurs make up the majority of the list, followed by those from Beijing, Shanghai and Shenzhen. 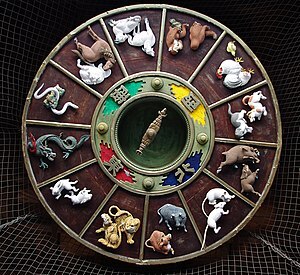 via Hurun rich list stirs Chinese zodiac discussion | South China Morning Post.